How do you get one? Well, right now, that's the tricky part. Tesla's first 100 cars, set to release in 2007, have already been bought and paid for; however, there is a waiting list for the next round. The other obstacle is its $100,000 price tag. 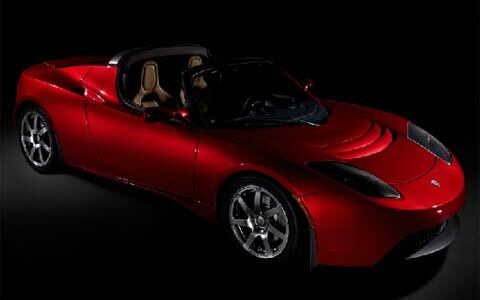 Tesla's plan for 2008 - to build a four-door sedan, which will be made in the US and sell for under $50,000. Will we all be driving Tesla cars by 2008? Probably not. But there's great hope for this little car with big ideas. I wish electric cars would catch on and become more available. I have many friends in California who drive them, but they are nonexistant on the east coast!! You have got to be joking. I (really) would like an electric car, but my budget is more like 8K, and I don't want a golf cart either because I have to go to work with it and I need to take a highway. This is a completely ridiculous price tag. I don't care how great it is for the environement, why even bother if only 200 people can affort to buy it. It is like solar pannels. I wanted to put them on my house, which we just built, but who will buy that for the 30K price tag, especially when it defaces the roof of an otherwise beautiful mediterranean home. I don't care if it "pays for itself 30 years from now", it is just not worth the price tag or lack of aesthetics.